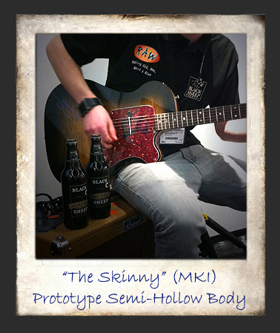 Musikmesse 2012 gave us the opportunity to unveil two prototype guitars; namely “The Skinny” and “The Prowler”. 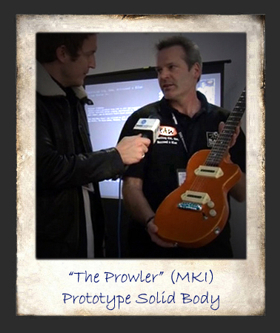 “The Skinny” is driven by a custom, Jason Lollar “Jimmy Reed” single coil blade pickup and “The Prowler” is driven by two, in-house designed, P-90 styled “Stegosaurus” pickups. 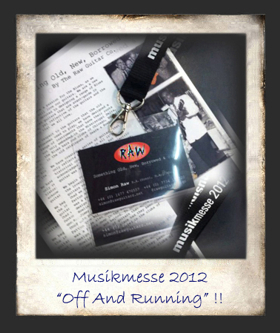 These two guitars made an instant impact at Musikmesse 2012 because they offered those that attended the show an opportunity to play an instrument that was not remotely associated with Mainstream yet retaining familiarity and tradition.